So I’ve been investigating Global Rent-a-Scope. So far, I like the interface and the simplicity of how it all works. They have 10 operable telescopes in total with varying fields and resolutions. 6 in the northern hemisphere (New Mexico), 4 in the Southern (Australia). The telescopes have a pretty impressive spec — GRAS-008 has the highest resolution at 0.65 arcseconds per pixel. 650 milliarcseconds for a ground based scope isn’t bad at the, frankly, modest price tag. Oh, and lest I forget to mention, the customer service is excellent too. I’m impressed! Especially as it could be a relatively cheap way to get some extra observations for my research. It’s just a pity none of them are fitted with spectrometers. Still, they can perform photometry, and you can glean a fair amount of information from the morphology of a circumstellar region. If, that is, they’re sensitive enough to image such regions with good detail. Unfortunately, at the times I’ve been able to look online lately, the moon was too bright to image any deep sky objects… So I decided to image the moon. 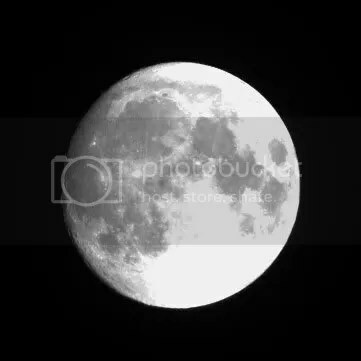 This entry was posted in Imported from Livejournal and tagged telescopes, the moon. Bookmark the permalink.